MVC is excited to announce we have expanded our grooming department. 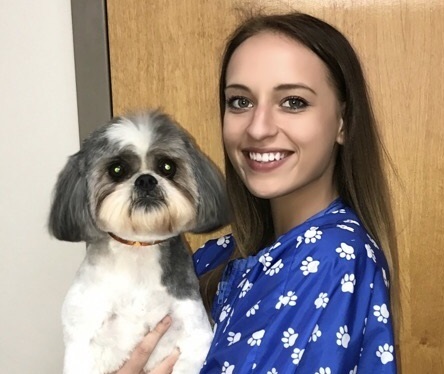 Alyssa is a talented young woman willing to listen and help plan your pet's individual look. She is capable of standard breed grooms as well as achieving a special game day or holiday style. Alyssa is now accepting new clients.